I generally have discipline when it comes to my writing. Once I sit down and begin, I’m the epitome of discipline. Notes are organized and in front of me. My brain is in ‘go’ mode. I’m eager to jump into my writing world and that of my characters’. I’m ready to listen to my muse. When it comes to everything else, I’m in the Shadowlands (my brain lol). I need to crack the whip on my scatter brained self. I’m feeling overwhelmed with Facebook, Twitter, Triberr, blogs…promotional everything. Solidifying my platform. And it’s not so much doing it all. It’s doing it all in an organized way. Now, I’m not so organized when it comes to getting myself out there on the web. I’ll go days without posting or tweeting anything, and then I’ll spend an entire day overloading myself all over the place. I’ll realize days later everyone whom I retweet or visit has posted blogs or updates and the next thing I know, I’m trying to do fifty of them all at once. I NEED ORGANIZATION. Ugh. I’ll start with my blog. I usually post twice a week. However, I think I may need to bring that down to once a week. I don’t want to post random babbles like I sometimes do. I want what I post for y’all to have some meat in it. Something worth reading. And not just promo stuff. (Although, I’m considering putting up everyone’s latest news at the beginning of my posts. You know, pick a few who may have a new release that coming week, or maybe a new blog hop coming up, or whatever.) I may just do a promo Friday just for that purpose. See? Scattered to the wind. My brain’s flying off into left field. That’s why I need discipline. Maybe Tuesdays I’ll do something new on my Facebook pages. Maybe Thursday will be devoted to Goodreads. There is just so darn much promo stuff I can do! What about you? Do you organize your day in such a way? Or are you disciplined enough that it’s second nature to you? I’ll randomly choose two commenters from here, my web page, and Facebook combined and one randomly chosen retweet using the above hashtags on August 20th. The winners will receive a copy each of Secrets of Jenkins Bridge and The Swan Cove Murders. 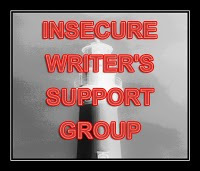 It's that time again for another edition of Insecure Writers Support Group. In case this is your first time hearing about us, our wonderful group, founded by our awesome 'Ninja' great Alex J. Cavanaugh, meets once a month to encourage and inspire one another through our writing journeys. It's real simple to join us. Go here to sign up and visit a few of the blogs listed. Leave some encouragement as your words could make a difference in someone's life. And feel free to post one of your own. Last month, I was freaking out a little about trying to finish Boneknapper. It was the last chapter or two and the encouragement I got here was enough to push me to finish it. Woot! A hearty thank you for those who commented. This month, no real freak outs. I just returned from Connecticut where we finally had my mom's burial service. It was good, and she managed to hold off the rain until just after the groundskeeper spread some grass seed. Then, it rained. "This is one of those novels that are a rare find. 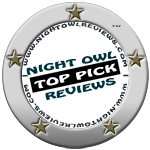 It has tons of romance, as well as edge of your seat action and suspense. Secrets of Jenkins Bridge starts off fast and never once slows down. Long lost loves, broken hearts, abductions, murder, extortion, this novel has it all and then some. There were points where I laughed out loud and cheered for the good guys, and times when I literally chewed my nails in anticipation of what might occur. This is one of the novels that will have a long life, and that readers everywhere will adore. I most certainly did; I couldn’t put it down! I was and still am wicked excited about the review :) My encouragement for this month: DON'T give up. It will happen when you least expect it. The Swan Cove Murders: Where the dead speak to her, danger finds her, and love saves her. 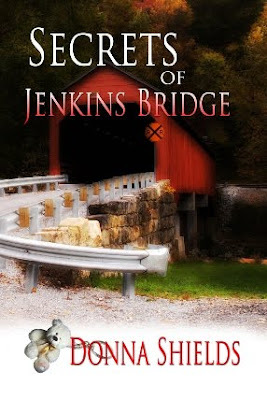 Secrets of Jenkins Bridge:An FBI agent discovers more than embezzling and murder when he takes on the kidnapping case of the daughter he never knew he had.